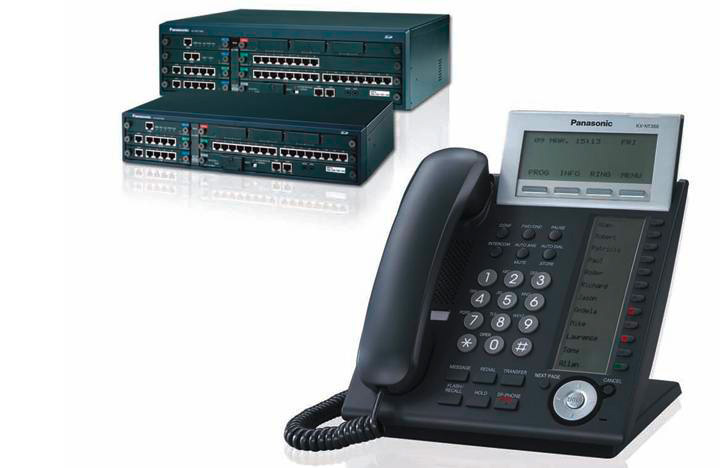 In contrast to the classic landline, voice-over-IP systems convert language into IP-packets and transmit them through permanent lines or via conventional ISDN lines in hybrid mode. Voice-over-IP telephony cannot be distinguished from conventional telephony anymore in its speech quality with the components used by Salzgeber. The technology offers more than a pure phone system. Unified communication is the designation for progressive, quick and simple industry-comprehensive business communications solutions by Salzgeber. The unified communication centre of a company is the core of Salzgeber high-end communication. The UC-platforms used are built on state-of-the-art technology. 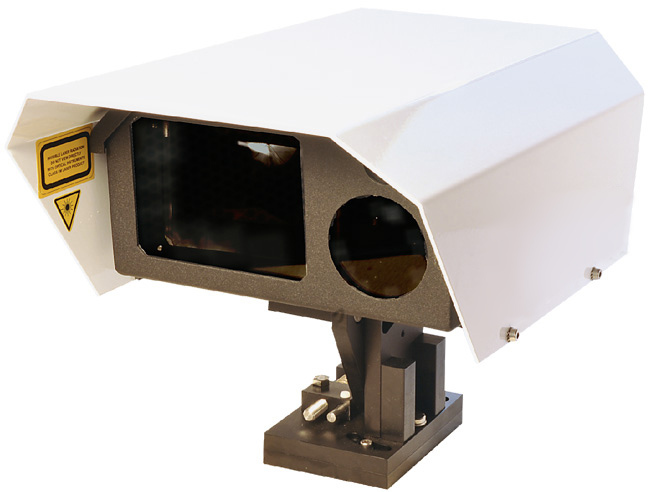 They are open to future applications and characterised by quality and reliability. Unified communications systems by Salzgeber are modular and can easily be inserted into present speech and data networks. 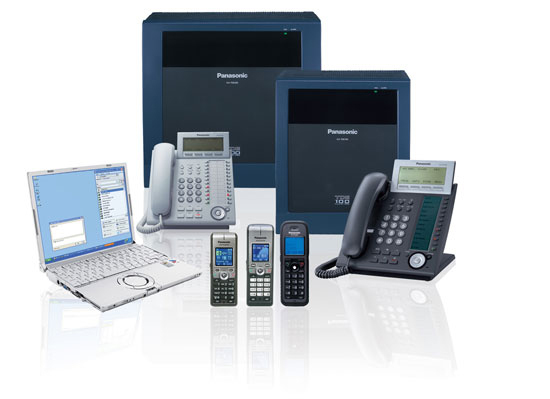 The unified communications systems not only ensure increased productivity but also help reduce phone costs. The benefits of unified communications systems by Salzgeber are in the incredible possibilities of the applications. For example, the "one phone number" access is used to improve availability and accessibility of mobile employees. Companies can assign calls to clients or guests for invoicing quite easily or activate an IP camera for reception or receipt control. 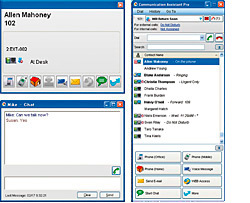 Operator-friendly telephony per point and click with presence and availability status in real time, Microsoft® Outlook® integration, unified messaging, simple drag-&-drop in multi-party conferences and a multitude of other cooperation tools characterise the innovative solutions of Salzgeber. There is no more flexible communications solution. Employees are to be able to process business communication on any device, anywhere and at any time. Systemhaus Salzgeber has suitable solutions for all companies and industries with a great selection of system end devices. No matter if a person works in the office or in field service, the end devices used by Salzgeber make team members available both locally and remotely using VPN or broadband connections, even where conventional telephony does not work. The communications systems planned by Salzgeber offer the their users greatest freedom. Only state-of-the-art mobile DECT end devices that have most of the functions of wire-connected end devices at the desk and therefore offer service without any deductions are used. The IP-based conference phones used that make setup of conference calls child's play are highly progressive as well. No PC? No problem! In many operations or sites, a PC for employees is not required. The Internet function of the end devices used by Salzgeber permits easy access to business applications that are listed on a web server of the company. Employees without a computer receive easy access to your company's website via an IP‑softphone. No matter if you have a conference system, hands-free system, particularly robust, splash-water protected and dust-protected handset or headset systems, design wishes or special requirements to ergonomics, Salzgeber offers the right end device for any environment. Employees in the office or in field service may use their computer as an IP-phone with an IP-softphone module by Salzgeber. They receive access to the unified communications of your company anywhere and at any time. Participants only need a VPN-connection to activate the IP-softphone via the VOIP network. All employees can be connected to the company's IP-based communications system from a central office. Functions that usually can only be used at the workplace can then be used via cost-efficient VoIP‑communications connections. The stock-exchange-listed French real estate and investment company unibail.rodamco owns many shopping centres in European capitals. Systemhaus Salzgeber has developed and implemented a comprehensive communications standard for networking communication of the three sites of Vösendorf, Vienna and Bratislava. The new communications system was built on the present network infrastructure of the individual sites. This kept the costs for implementation of the new system low. A smart backup concept developed by Salzgeber offers double security for the persons responsible. The systems secure each other in this concept. If, e.g., the CU system in Vienna fails, the system shifts the functions to Bratislava or Vösendorf. A centre for both systems keeps administration efficient and cost management slim for operation. Two objectives had to be reached for the tasks of unibail.rodamco: The three office-sites must be digitally connected and the individual shops of the Donauzentrum, the Shopping City Süd, and the Auparks Bratislava are to be supplied with state-of-the-art technical infrastructure. 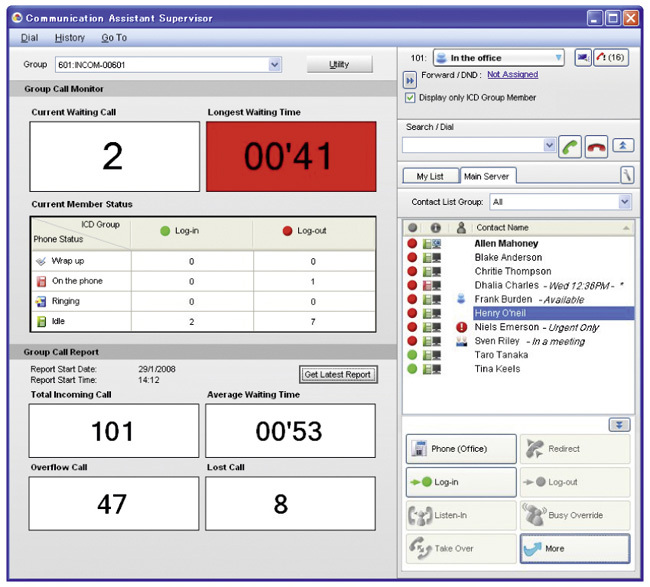 the shops can make calls internally free of charge with the solution implemented by Salzgeber from the communications server to the end device. This is also possible for calls to the outside on request. Security and Infodesk or facility management can be reached quickly and easily for all shop operators. Maintenance of phone numbers on the end devices is not required because the system offers central number administration. The entire communication in the Shopping Centres has simplified and accelerated for all parties involved and specifically reduced the costs to near-zero, since the calls are made on the present data lines. The entire technical infrastructure of the three Shopping Centres is reflected in Salzgeber's unified communications system. Status messages of the elevators, the ventilation and air conditioning centre and the emergency call systems only run through the new communications system of Salzgeber. A special benefit for the service crew is that the telephony option is available in all areas of the object, even where mobile phones have no reception. The renowned studio of architect Albert Wimmer looks back on decades of successful work in architecture. A dedicated and creative team of up to 60 employees is internationally active in two Vienna and one Salzburg site. Systemhaus Salzgeber was charged to design and implemented a high-performance VPN-network and a state-of-the-art VoIP-system to support the employees. To simplify and accelerate the entire communication and data access of the project teams, the IT-revolutionaries of Salzgeber initially faced the great challenge of establishing an IP connection between the two sites at a distance of roughly 500 metres in the 13th and 15th Vienna community districts. Conventional solutions like a WLAN transmission and receiver system were rendered impossible by the requirements of the landlord of one of the sites rather than because of the Vienna river that has always separated the two districts . The Salzgeber technicians found the present sight connection between the two sites in the scope of research and planning. This circumstance permitted use of a laser route. A higher-performance and more cost-efficient communications system was developed by data over laser. The entire data traffic and telephony of the two sites of the architecture office runs via this frequency-free and eavesdropping-free bandwidth at up to one gigabit per second. Improving clinical research around the world in the long term is one of the visions of the Vienna School of Clinical Research (VSCR) that was opened in Vienna on 23 February 2012. For this vision to become true as well, Systemhaus Salzgeber equipped the VSCR with a unified communication system of the latest generation. The solution is based on a state-of-the-art IP-based communications system with outlook integration (Unified Communication Server). If future researchers are trained at VSCR and cooperate across countries, you may choose, e.g., between video conference, chat or traditional phone calls. By the way, dialling is a thing of the past at VSCR as well. Employees can contact the desired interview partner at the workplace by "Point and Click" or "Drag-&-Drop" right from the PC or invite him to a virtual conference. The list of missed calls can also be comfortably viewed and processed from the PC. We have put an end to annoying interim calls by a second end device. Workplace-specific end devices are coupled in the Salzgeber system solution by Bluetooth technology. For example, the mobile phone reacts with the status busy, wait or knock as pre-set if a call is active on the landline. Every employee can thus focus on his current conversation partner without interim calls from other end devices. Great savings in current operation can be recorded by VSCR by the use of 20 communication assistant IP-softphones. Every team member in the world can call free of charge on an encrypted basis via a dedicated VPN‑tunnel. This applies even in sites where conventional telephony is not possible.